Some people are more prone to toxic thoughts than others. If it is a problem for you, read below to learn how to overcome them. 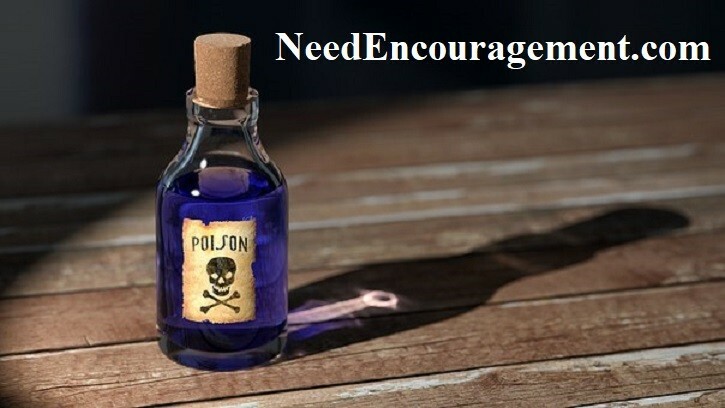 Here are some encouraging scriptures about poisonous thoughts. Romans 12:2 and Ephesians 4:23 reminds us that we are to renew our thoughts daily. That means we need to be in control of what we’re thinking because if you aren’t, the same toxic thoughts will be controlling your life. How To Overcome Toxic Thoughts! Toxic Thoughts Need To Be Dealt With Properly! Being human, every one of us at times have to deal with our own toxic thoughts, or that of others we are in our lives such as family members, friends, relatives, acquaintances and sometimes strangers. If you allow toxic thoughts to affect or even control your life, that is a huge mistake. God has a plan for your life, and unfortunately, sin and toxic people are not something we can wish away. It has to be dealt with. Below is some idea from Kris Reece that I am sure that you find helpful. Step 1: Capture the thought. 2 Corinthians 10:5 says we are to take every thought captive and make it obedient to Christ. The first step in doing this is to continually identify what you’re thinking about and the content of those thoughts -including the feelings. Step 2: Interrogate the thought. When you notice yourself having a negative thought, ask it questions such as, “Where did you come from?” and “What are you doing here?” Asking these questions can begin to reveal deeper issues—areas of your life that still need healing or old wounds you haven’t let go of. Step 3: Line it up with Truth. You can spend a lifetime ignoring the truth and believing lies. I believe that God’s Word is the truth. So, if you’re worried about finances and God’s word says that He will supply all of your needs (Phil 4:19) that’s a thought that has to go. If He says that your body is the temple of the Holy Spirit (1 Corinthians 6:19), then that nagging thought to start eating better likely is from God. When you compare your thoughts to God’s word, you know which thoughts to keep and which to get rid of. Step 4. Rewrite your thought according to the Word of God (truth). Find the scripture that relates to your thought and then put it into your own words and applies it to whatever situation you’re facing. When a thought is in your own words, you’re more likely to believe it. So, create your new thought and keep repeating it out loud, even if you don’t believe it at first. If you are struggling with toxic thoughts, I want you to know you’re not alone. There is help.